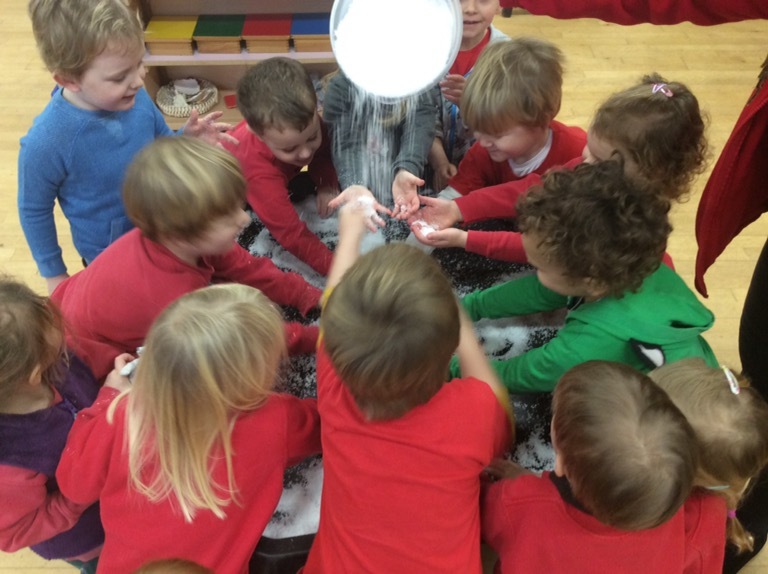 We have continued our theme from last week looking at ice, snow and cold weather. Yesterday Issy made a messy play tray full of fake snow. We placed polar bears, penguins and other polar based animals in too. The children really enjoyed exploring the texture of the snow and burying the animals. 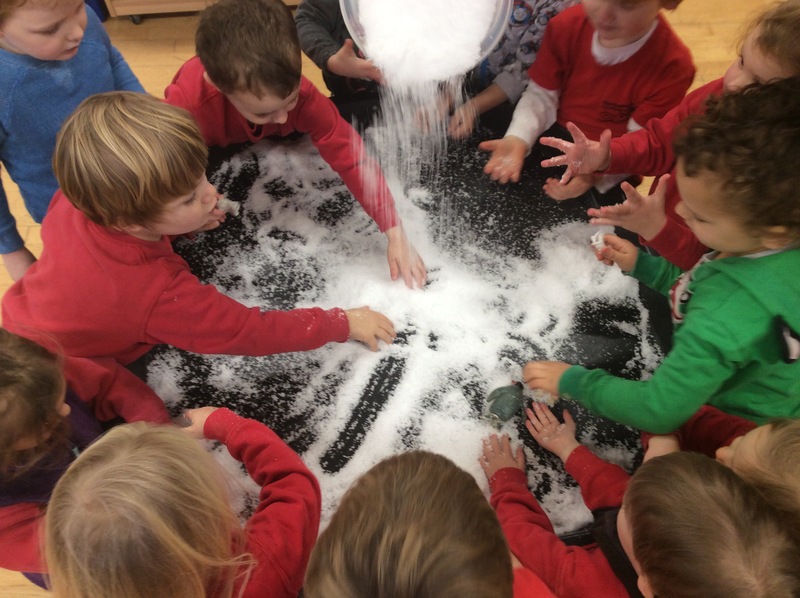 The children were using their communication skills to describe the feeling of the snow and building on their vocabulary together. 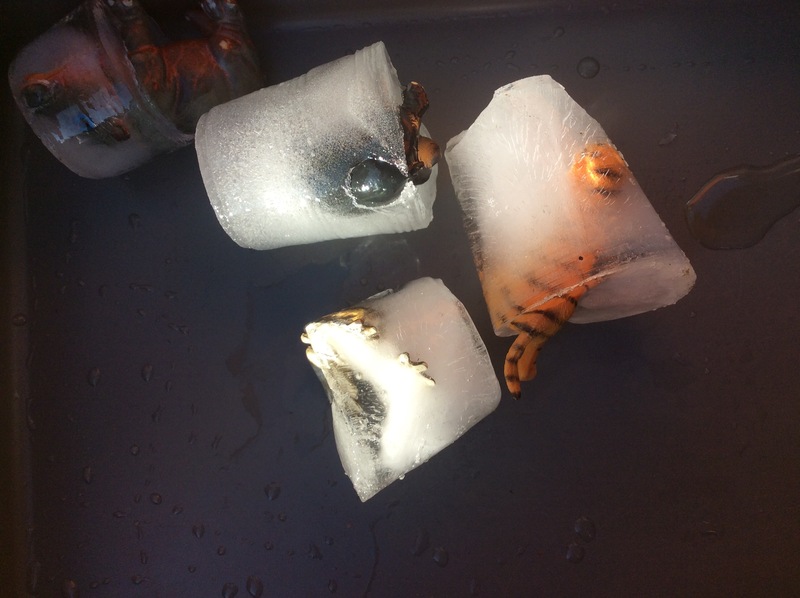 Today Issy bought in lots of plastic small world animals that she had frozen in water. 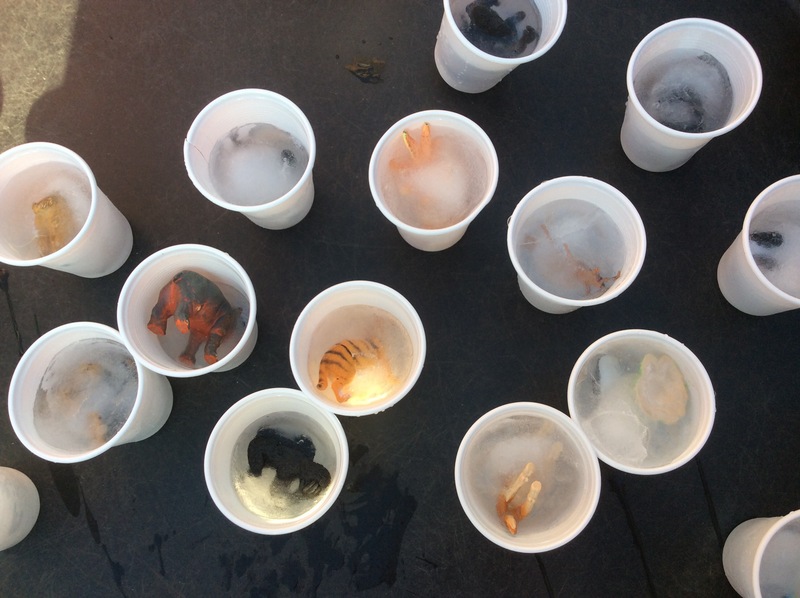 We took the frozen animals out of the plastic cups and discussed how we might get the animals out. 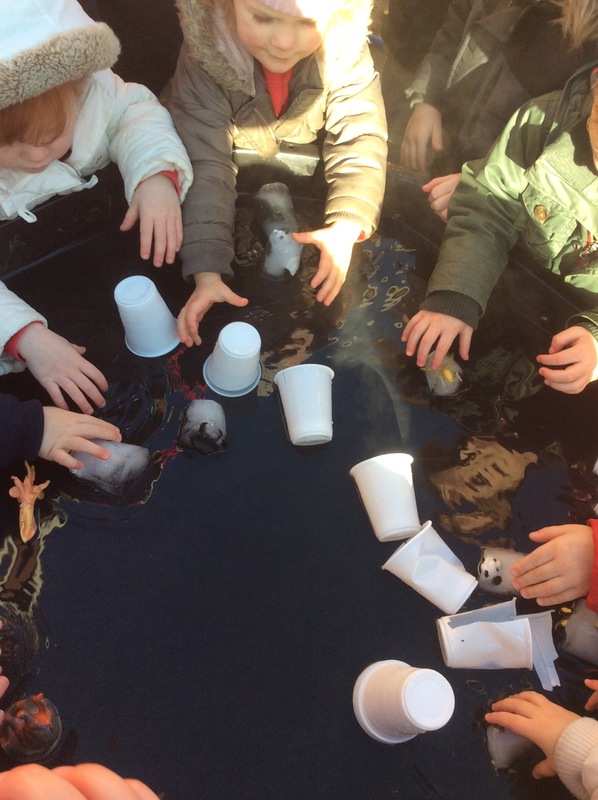 Some of the children tried to hold the ice for a while to see if it melted in their hands, some threw them on the ground to help them escape quickly! 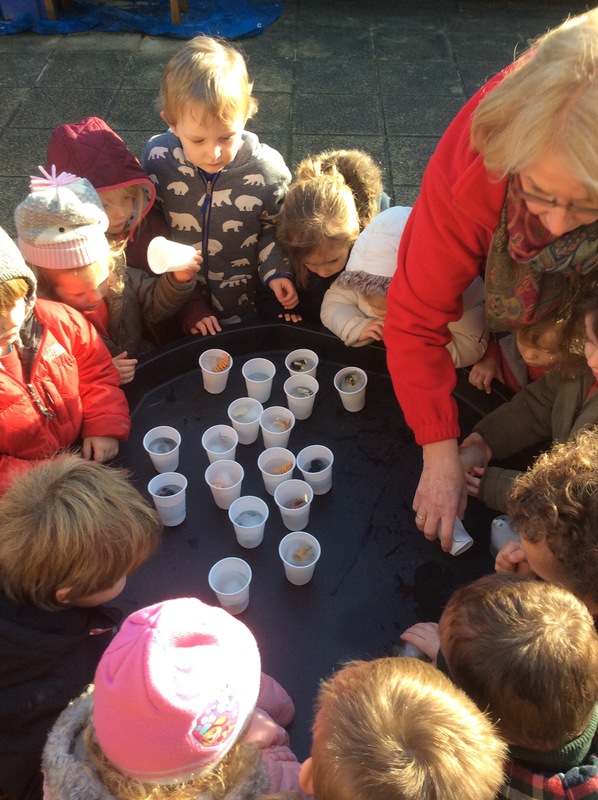 We placed warm water outside in the big trays and we could experiment with defrosting the animals slowly. This activity really interested the children, they all got involved. They discussed their findings with each other and tried to help each other. 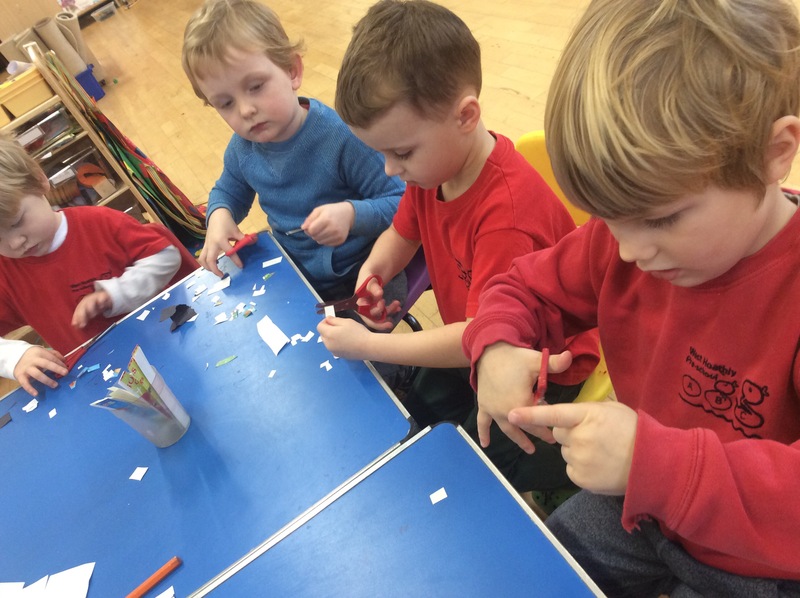 Some of the boys have been enjoying using the scissors and snipping up old Christmas cards into small pieces. This is great exercise for preschoolers to start. Cutting with scissors can be quite challenging, using fingers and thumbs separately to move the scissors up and down.